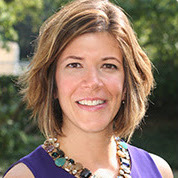 Diane Whitmore Schanzenbach is a professor in the School of Education and Social Policy at Northwestern University, Director of the Institute for Policy Research, and a Research Associate at the National Bureau of Economic Research. She is also a research consultant at the Federal Reserve Bank of Chicago. She studies policies aimed at improving the lives of children in poverty, including education, health, and income support policies. Her recent work has focused on tracing the impact of major public policies such as the Food Stamp Program and early childhood education on children’s long-term outcomes.